Most of us are familiar with the story of Aaron creating a golden calf for the people of Israel to worship. Aaron apparently made the calf by mistake – “I said to them, ‘Let any who have gold take it off.’ So they gave it to me, and I threw it into the fire, and out came this calf'” [Ex. 32:24]. 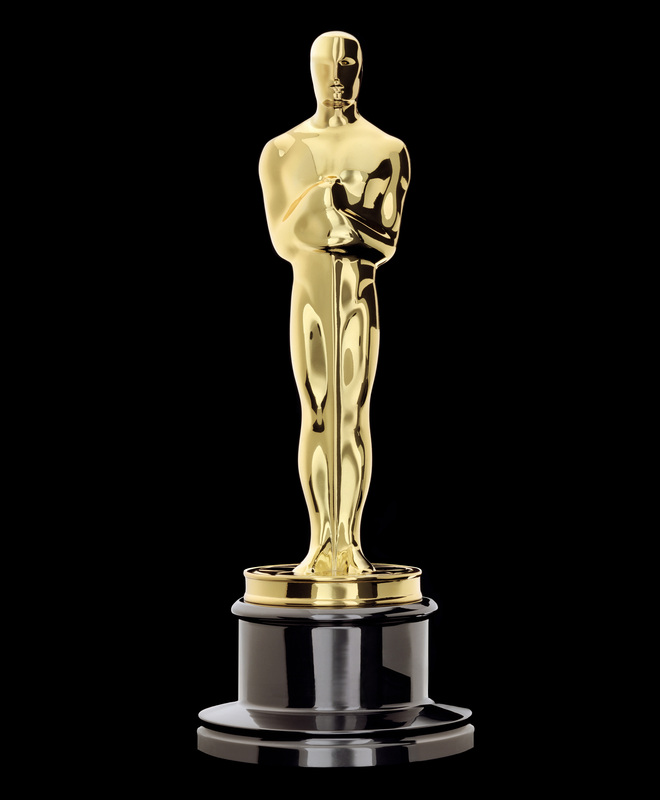 Hollywood, however, has taken Arron’s lead and forged a golden statue of their own and given it the name ‘Oscar’. This little golden statue represents joy, sorrow, jealousy, anger, covetousness, and just about any emotion imaginable for Hollywood stars and starlets. Even though I can’t remember the article or publication, I can remember reading Matt Damon’s reflections on his Oscar aspirations. He took a role in Courage Under Fire, which required him to lose a great deal of weight. Without the assistance of a personal trainer (he didn’t have extra cash because he wasn’t the powerhouse he is now), the pounds began to come off. He successfully lost a significant amount of weight, but the film and his acting didn’t get the recognition he hoped for. Plus, he saw a doctor after all the weight loss and he was informed that this rapid decrease in weight almost cost him his life. It wasn’t until many years later that Damon won an Oscar for Screenplay in his 1997 Best Picture nominated film, Good Will Hunting. Even though I cannot recall his exact words, Damon states that his name was called out, he went onstage, received his little golden man and thought, Is this it? Is this what I’ve been longing for? Is this little golden statue what I almost gave my life for? I don’t think Matt Damon is a Christian, but I honestly don’t know enough about his personal life to say one way or the other. However, he is illustrating the idolatry that we know is present in each of our hearts. Even though we may not be longing for an Oscar, we have our lists of little golden men. Maybe they come in the form of a new car, a bigger salary, a slimmer waistline, more vacations, or [fill-in-the-blank]. I’m not picking on Damon, because I really enjoy his films and he is like the rest of humanity. Plus, I’m glad that he saw the emptiness of his idol and I pray that he follows after the only One who is able to fill the void in his heart. In just a few more days, many more golden statues will be passed out to Hollywood hopefuls. Maybe you’ll be cheering alongside these actors, actresses, and filmmakers with a similar desire for them to win. Maybe you won’t even tune in to see who takes home the prize. Whether or not you care I think it is an important event for Christians to take note of, because it is a window into the heart of our culture. Whether we like to admit it or not, Hollywood wields a great deal of power. Actors and actresses have influence. And, on Oscar night, we get to see which films they think are noteworthy. They let us in on what they consider to be worthy art. We so often want to know what messages are being communicated through film and what truths resonate with this culture. Well, Oscar night takes much of what Hollywood holds dear to their heart and displays if for all to survey. So go ahead and tune into the Oscars with a watchful eye. Learn a little bit about the culture we live in. And, see if it grants you greater opportunities to bring the Truth to bear in this, often, dark sphere of our culture. Thanks for this post! I watch the Oscars to see what amazing art has been produced! I admire these actors, actresses, directors, sound designers, etc. for the hard work they put in to make something great. There is nothing wrong with their dedication, but, like you said, if their work and their accomplishments are all that matters for their lives, they will be deeply disappointed. It makes me wonder what golden statues I am chasing that will never fulfill me.